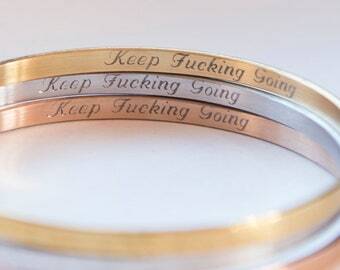 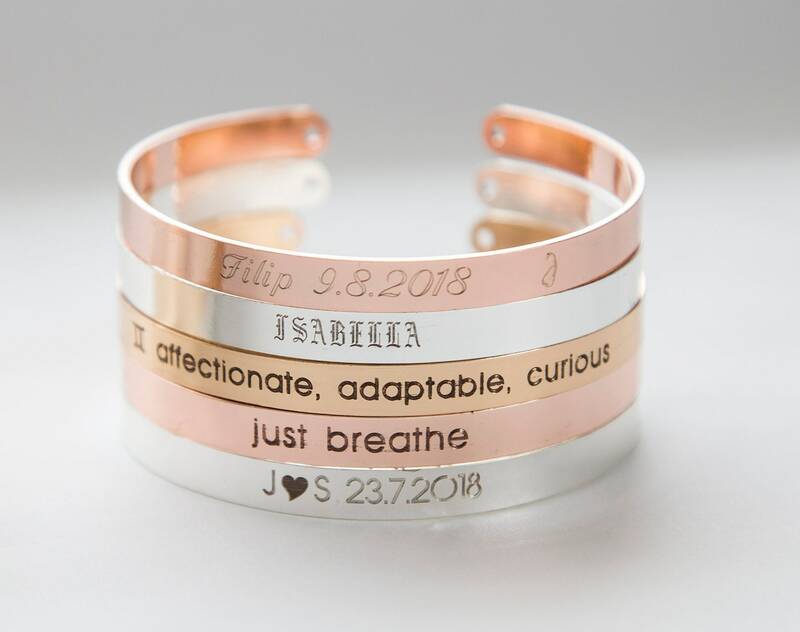 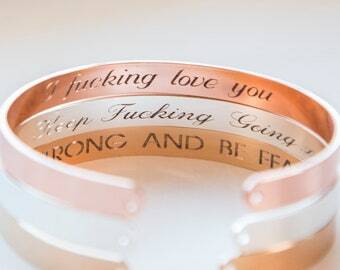 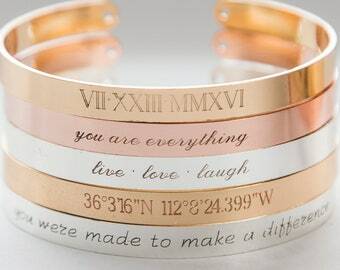 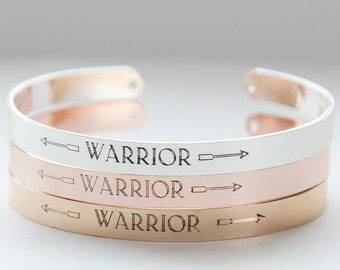 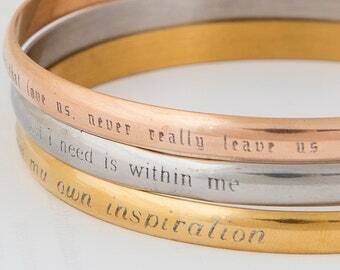 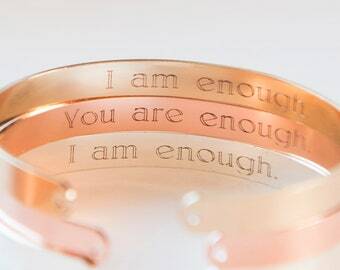 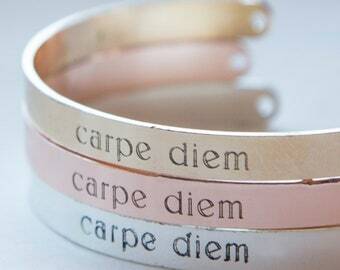 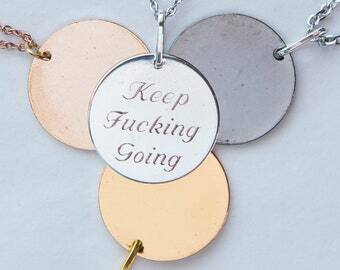 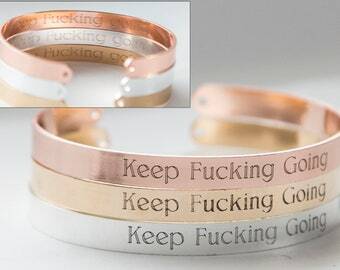 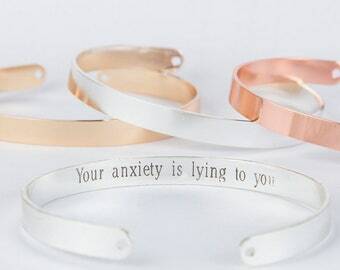 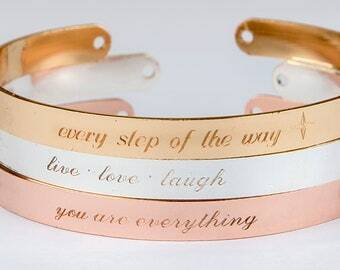 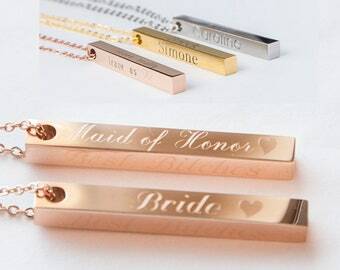 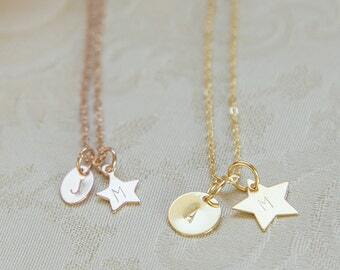 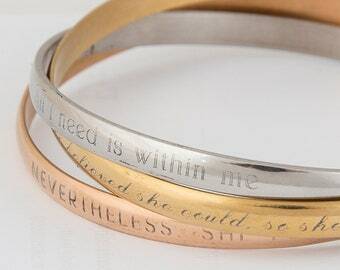 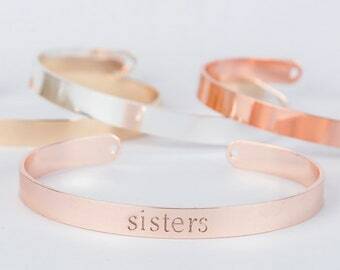 Enter the message you want on the bracelet. 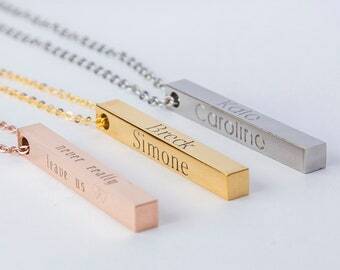 60 characters max, spaces included. 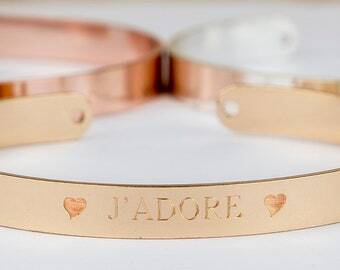 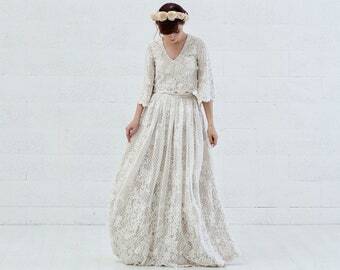 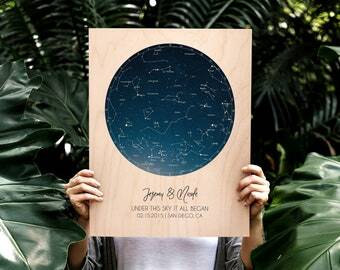 It is a delicate piece and should be handled with care, protected from scratches and impact. 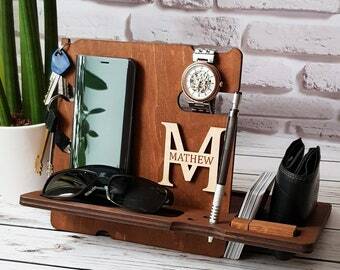 It is adjustable by pulling it open and making it wider.